Now we have a great way to support The Hispanic Heritage Council! 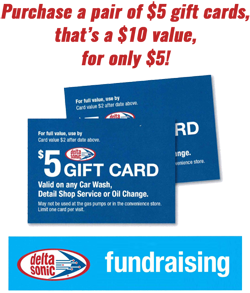 You can purchase a Pair of $5 Delta Sonic Cards for $5! That's $10 worth of gift cards for $5, plus you're supporting the radio show! You can call Erica Leon at 716.207.2124 with questions or for more details.